Sleep is pretty darn high up on my list of favourite things. Seriously. Is there anything better than the sensation of being so tired that your eyes are just willing you into the land of nod? Or sliding between fresh sheets in your favourite PJs? Nah. In the past, I've really struggled to get to sleep because of my anxiety, but that's not so much of an issue anymore. I've spoken before about my pre-bed routine that makes getting off to sleep much easier. Nowadays, I'm one of those annoying people that nods off really easily. Ten minutes into bed and I'm gone. Sleeping sitting up, at a desk (whoops), on a train, in a car poses no problems for me. My real problem? Staying asleep. That's where things get tricky. I wake up SO many times in the night, which means my sleep quality is really darn poor. And then I'm tired for the day. And then I nap. I really struggle not to nap. In an 'I've definitely fallen asleep at work before' kind of way. It doesn't make me any less tired in the evenings, and my body essentially demands naps now that it's used to them. But it's really not practical. 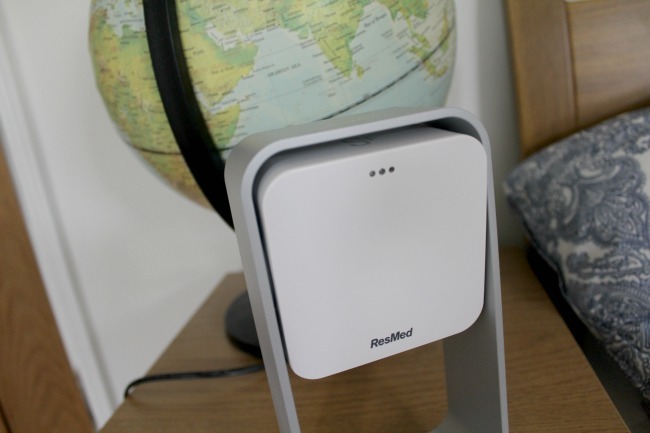 So, when Resmed offered to send me their Sleep+ device* to see if it could help improve my sleep, I was really intrigued to see where things were going wrong. 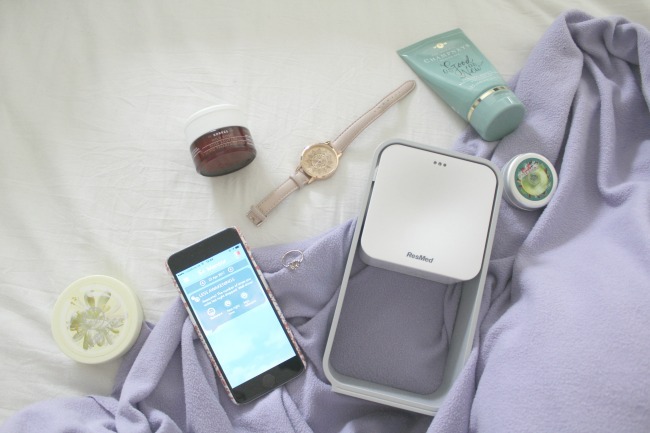 The device itself sits on your bedside table, facing where your chest ought to be. You need to download a free app to connect with the device in order to track your sleep. Once it's downloaded, you put a whole bunch of information in so that the feedback you get about your sleep is more likely to be of use. You pop in info about your health and lifestyle and you're good to go. It connects to the device via bluetooth which totally drains your battery (I learnt this the hard way), so you need to plug your phone in overnight to ensure that it doesn't die and lose track of the data from the night. Basically, the device monitors your breathing levels. So, it recognises when you're awake, when you fall into a light sleep, REM (Rapid Eye Movement aka when you dream) sleep and deep sleep. Each morning you get given a score based on how often you wake up, how much deep sleep you get, how long you slept for, light levels in the room and so on. 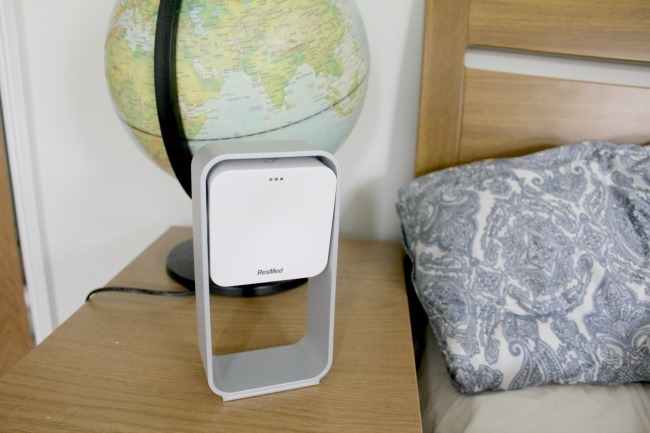 After the first couple of days, the 'mentor' aspect of the device will start giving tips on how to improve your sleep. You can rate them as to whether or not they were useful so that future tips can be made more helpful. I honestly cannot rave about this enough. It was genuinely so interesting for me over the first couple of days to see where my sleep was going wrong. Annoyingly, I was so excited about trying it out the first time that I couldn't get to sleep at all - brill! The first thing that really struck me was just how often I was waking up. I mean, I knew it was frequent, but the first night I woke up FOURTEEN TIMES. I was in bed for nine and a half hours, but only got six hours' sleep and only half an hour of that was deep sleep. Safe to say, my first sleep score was pretty appalling. I finally felt like I knew why I was SO tired during the day - clearly there were problems! So, I started experimenting with things: whether I napped or not, how early I got out of bed, how long I left between leaving my laptop and going to sleep. It was really insightful to see the difference between my sleeping patterns based on those different criteria. I now know that napping affects how often I wake up in the night, and that I tend to get more deep sleep if I chill out away from my laptop before bed. Last week I decided to see if I can cut out napping completely. On day three (yesterday) I woke up to my highest sleep score yet, and I'd cut the number of times I woke up down to seven. Clearly there's still a long way to go, but it was so encouraging that depriving myself of naps, and making myself really grumpy in the meantime, is actually doing some good. I could talk all day about the cool little functions on the app designed to help you get to sleep, and to improve your sleep, but this is by far my favourite. You pick a soothing sound and the device sends your breathing pattern to your phone and matches its pace to your breathing. I've found that it really helps me to have something to focus on other than my own thoughts, and it's a fab way to slow down your breathing without having to count numbers or do anything too complex. Now that I've been using it for a couple of weeks, my mind associates the sound with going to sleep, so it makes me feel calm and ready for bed when I hear it. I am so excited to see how much I can improve my sleep over the next few months with this. Have you ever tried anything similar? It's been really eye-opening for me! Ooh this sounds like something I need. My sleep schedule is so messed up. I have a hard time falling asleep, and if I fall asleep earlier than normal, I can't stay asleep. Definitely gonna look into this! I find staying asleep SO HARD, but this is really helping! I have one of these too and I love it. I've always had trouble sleeping but this has made me much more mindful about it. The app that goes alongside it is just so easy to use too. They're fab aren't they? I love the app! Nice to see you using proper terminology like REM sleep etc. That's cool!